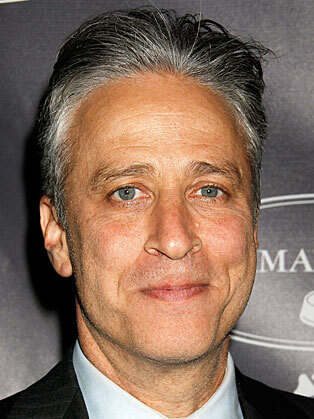 Jon Stewart was born in New York City on November 28, 1962, and was raised in New Jersey. By 1989, Stewart was hosting the Comedy Central series Short Attention Span Theater. In 1993, he launched MTV's first talk show, The Jon Stewart Show. Throughout the 1990s, Stewart appeared on several television programs. In 1999, he became anchorman of The Daily Show (later renamed The Daily Show with Jon Stewart), announcing his departure in 2015 after a highly esteemed run. Along with running the pseudo-news program The Daily Show, Stewart has become a strong political voice among young American voters, with his show consistently ranking as one of the top viewed programs by the 18-34 age demographic. Not one to shy away from heavy topic while still bringing comedy to the table, Stewart has interviewed and debated with several respected political presences, including Rachel Maddow, Bill O'Reilly and Tucker Carlson. Due to the show's success, Stewart has become an in-demand host. He is also a film and TV actor, appearing in the comic films Half Baked (1998) and Big Daddy (1999), among a variety of other productions.